The calendar in Messages>>Manage autoresponders displays time-based autoresponders you have created — those to be sent according to the intervals you set. 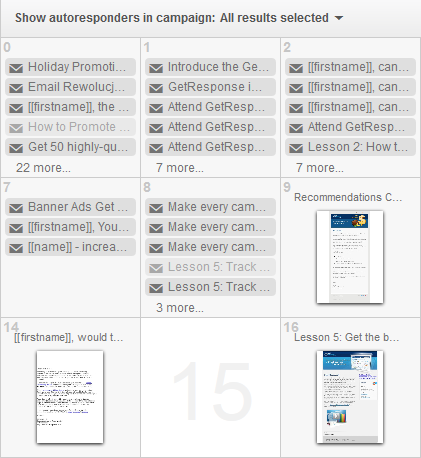 To narrow the list, choose one or more campaigns to view using the dropdown list labeled Show autoresponders in campaign. Click any day on timeline to add new autoresponder or edit the existing ones. Also you can drag and drop autoresponders to another days on the calendar to change the interval values.